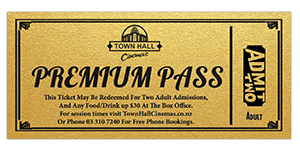 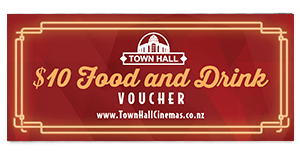 Town Hall Cinemas movie vouchers are the perfect gift. 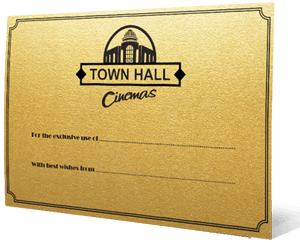 All of our vouchers come with one free personalized gold envelope (you can add extras for just $1). 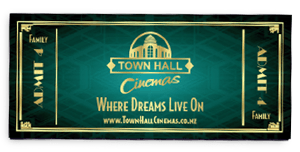 You can send them to your own address or send them directly to the receiver. 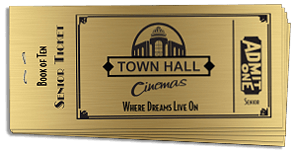 We can even write a custom handwritten message on your behalf on the envelope. 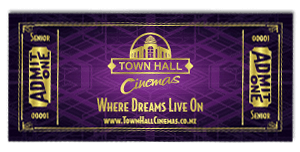 Order them online here and they’ll be delivered to your door within 1-3 business days. 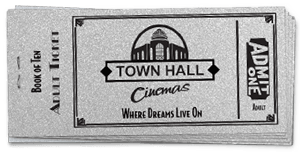 Or come in to our box office and purchase them over the counter. 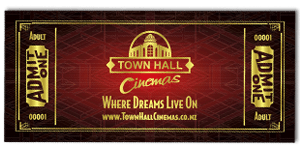 Every Wednesday we’ll email you film showtimes, trailers and specials.